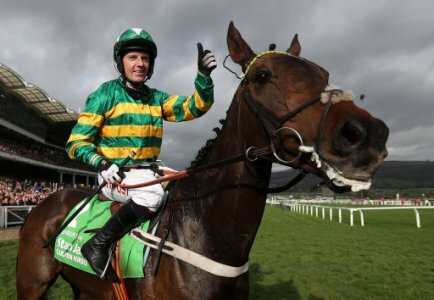 Buveur D'Air and Faugheen feature among a list of 23 horses entered for the 2018 Unibet Champion Hurdle, which takes place at the Cheltenham Festival on March 13, while the likes of Melon, Defi Du Seuil and My Tent Or Yours also feature amongst the list of entries for the Grade 1 showpiece, which is the day one highlight on the opening day of the National Hunt extravaganza. Nicky Henderson's Buveur D'Air was a sensational winner of the race 12 months ago, and has started his new campaign in similar fashion as the Seven Barrows inmate has cruised to victory in the Fighting Fifth Hurdle at Newcastle, and the Christmas Hurdle at Kempton Park. The seven-year-old is already a red-hot favourite to retain his crown in just under eight weeks, but he is sure to face some strong opposition from Ireland, and Faugheen will be hoping to recapture his best form, and regain a title he won in 2016, but his participation is certainly in doubt. Having been off the track for over 18 months, the Willie Mullins-trained star returned to the racecourse with a fine win in the Morgiana Hurdle, but he failed to follow that up when pulling up in the Ryanair Hurdle over Christmas time, and while the Closutton team are hoping to have him back to his best for the Irish Champion Hurdle in a few weeks, it would be no surprise to see him fail to make it to Cheltenham in March. Mullins has six entries for the race with the likes of Yorkhill, Melon and Min all featuring in the Co. Carlow handler's sextet, but at least two of those (Yorkhill, Min) could be seen elsewhere during the Festival, and it's hard to assess who will take their place in the line-up for a man who has trained the winner of the race in four of the last seven years. Defi Du Seuil was a fine winner of the Triumph Hurdle at last year's Cheltenham Festival, and along with My Tent Or Yours they could be a JP McManus-owned pair that take their chance alongside the green and gold hoops of market leader Buveur D'air, while last year's Mares' Hurdle heroine Apple's Jade has also been given an entry for this race. Mick Jazz beat Faugheen in that aforementioned Ryanair Hurdle, and could be seen flying the flag for the Emerald Isle, while The New One is another notable entry for the race, as he still attempts to bag that elusive victory in the race, which is one of the most hotly-anticipated races of the entire National Hunt campaign.